The next step is color calibration. Frankly this is an area where I am not completely happy with PixInsight. I won't go into long explanations of why. Suffice it to say that I sometimes use other tools like Regim to color calibrate my images. 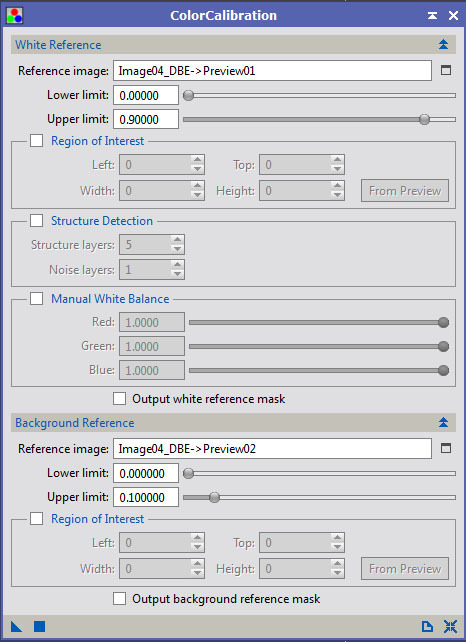 However, this is a PixInsight Tutorial. So bring up the ColorCalibration tool. Also define some previews. [I'm probably happy with PixInsight in this area about 90 percent of the time]. What we are going to do is define one preview around a good portion of the galaxy. Another will be defined in an area that is primarily background. These preview areas will be used to color balance the image. 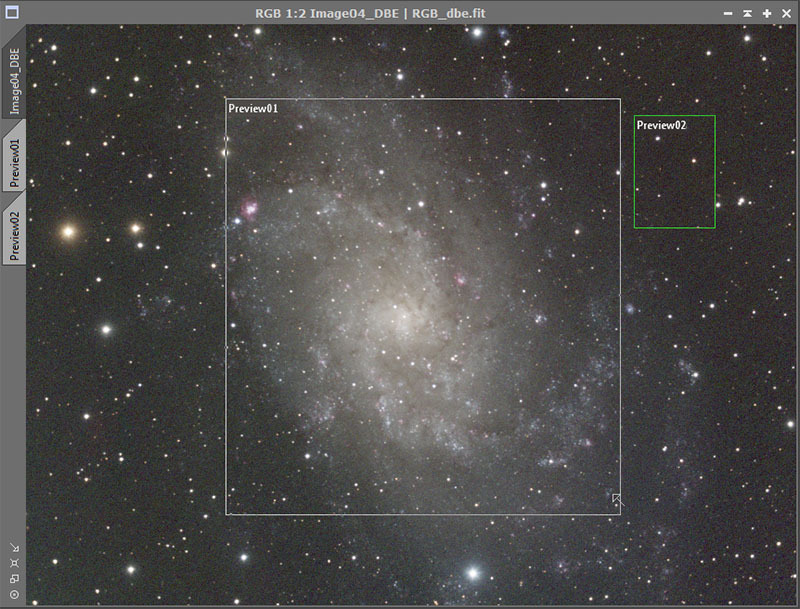 What PixInsight will do is try to make the balance of the galaxy neutral overall. This will result in a rather yellow middle and somewhat blue arms. In the ColorCalibration settings, set the reference image to the preview around the galaxy. Make sure you turn structure detection off (if you leave it on, it will balance using the stars rather than the galaxy). Set the background reference to the preview around the background. After applying the color calibration, you can now redo the STF with the channels linked. The image will no longer have the horrible yellow-green cast to it.